The participants listening attentively to the speaker, Bro. Michael Dacalos, MSC. How often have you crossed the streets without using the pedestrian lane? How often are we reminded to focus but we are so occupied with all the things and people around us? As humans, we sometimes have this tendency to break rules. We get distracted easily and lose our focus. To address this, we at CFA brought together 38 youth servant leaders from Don Bosco School in Sta. Mesa, St. Joseph’s College in Quezon City, and community youth of Barangay Tatalon, also in Quezon City. The 13 to 18 years old celebrated World Youth Day CFA-style, on January 25, 2019. This was in line with the World Youth Day (WYD) that happened in Panama on January 21 – 27, 2019. 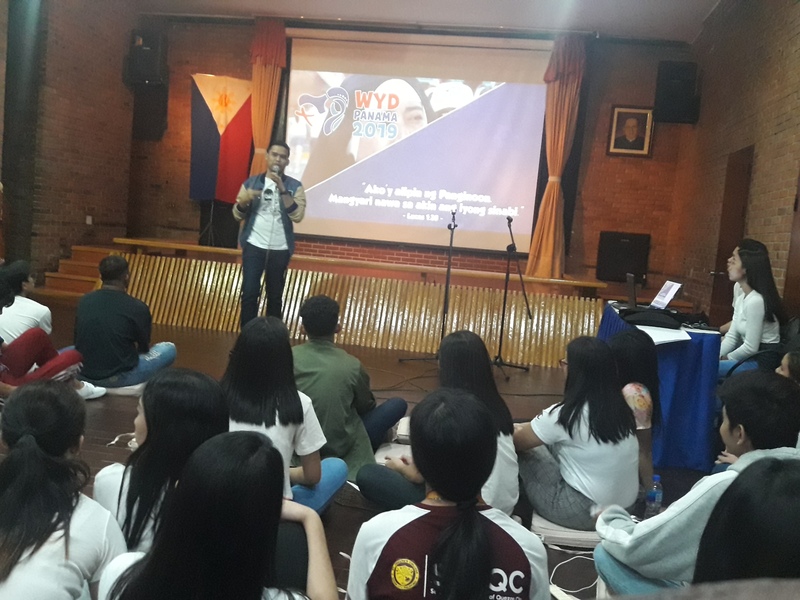 Bro Michael Dacalos, MSC gave a talk about “Hugot (Hugot is a Filipino slang word which means “to pull out” or “to unsheathe”) WYD.” He related several Bible verses that can serve as hugots to the millenials. The hugot lines include: “Ang tunay na nagmamahal ay hindi takot” - 1 Juan 4:18 (There is no fear in love, but perfect love drives out fear. - 1 John 4:18) and “Ang tunay na nagmamahal ay hindi paasa.” – Mateo 5:37 (All you need to say is simply ‘Yes’ or ‘No’ – Matthew 5:37). He also gave them the Birdbox Challenge wherein three youth servant leaders were blindfolded while the other participants distract them by creating noises. The goal of the challenge is for the three of them to reach their destination. Bro. Michael related this challenge to a person’s life journey. That in the world we live in, there are many competing voices that divert our attention. He told the participants that they should learn to seek God and focus on Him. Fr. Edwin Borlasa, MSC advised the youth leaders to be productive while they are still young and to grab every opportunities presented to them because it will help them improve as individuals. “Who am I?”, “What am I doing here?”, and “What am I going to be?” were the questions asked to them by Fr. Jericho Natividad in his talk on Servant Leadership. He differentiated leadership and servant leadership. 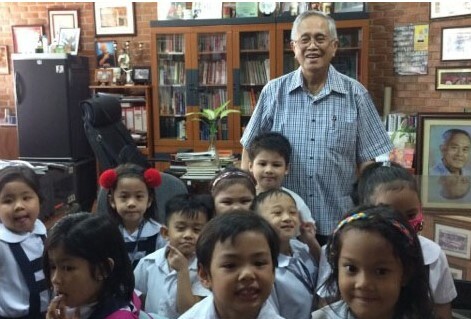 He wanted the youth to reflect on what kind of leader they aspire to be. The event was also a day where these youth leaders showcased their talents through singing, dancing, and acting. They also shared their opinions regarding the topics presented to them. At the end of this whole-day event, CFA President Fr. Filoteo Pelingon, MSC posed a question to these youth leaders, “What is your dream?” I guess, this is also a question that we should ask ourselves. 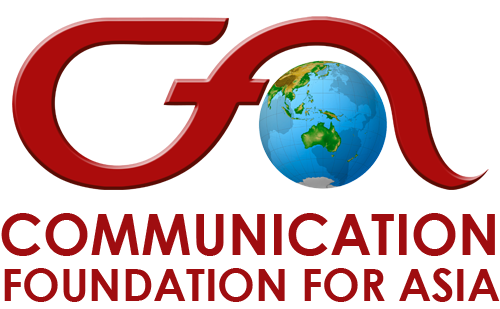 What is our dream - for ourselves, for CFA, for the world?